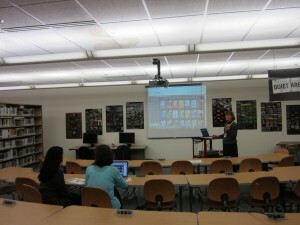 Just in time for the winter break, Connie James-Jenkin, the Collection Development and Reference Librarian in the IRC, held an overview session to explain how easy it is to download eBooks and audio books from the Magic Wall, which is on the IRC’s website. To access the collection, users will need to download an app onto newer devices. Connie can help those with older devices, and she has a handy sheet of directions and one of FAQs available for anyone who would like one. 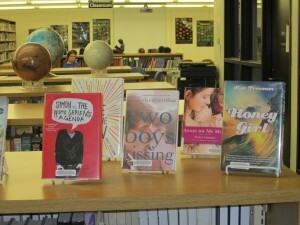 There are current best sellers, classics and audio books in children, teen and adult fiction and nonfiction titles. Users can browse through the titles and if something appeals, just click on the title to see a synopsis. 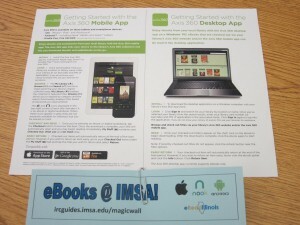 The IRC is a member of a consortium of over 100 libraries in the eRead Illinois program, which provides access to the eBook collection. A click on the options listed on the left side of the screen brings users to very specific categories or genres. A click on the “Language” selection lets users know if the title is available in a language other than English. Currently, there are many items written in Spanish. When users are browsing titles, they may notice an item that is shaded in gray. This item is checked out, and a user can put the item on reserve. An email notice will be sent to let the user know when the item is available for download. 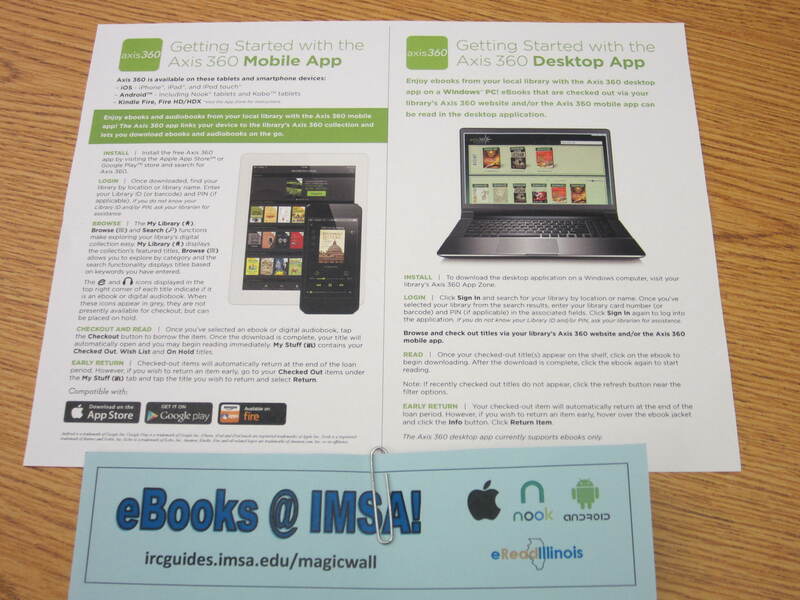 Stop by the IRC before it closes for winter break on Wed., December 23, 2015, and ask Connie for assistance in downloading the app that will allow you to check out any item in the Magic Wall. If you’ve already downloaded the app, happy reading! This entry was posted in Announcements, Events on December 17, 2015 by nluebke. 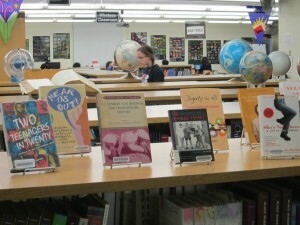 Super Sundays in the IRC on Dec. 6th and 13th! As the semester wraps up, finals week and the deadline for class papers is fast approaching. Have no fear, IMSA students, because Super Sundays is back in the IRC! On Sunday, December 6, 2015, and Sunday, December 13, 2015, the IRC will be open from 4:00 p.m. until 8:00 p.m. to accommodate students who wish to study, research, print or check out library items. IRC staff will be available to help with research and technical support. This is a great opportunity to work on a class project or study for finals. Hope to see you there! This entry was posted in Announcements on December 3, 2015 by nluebke. 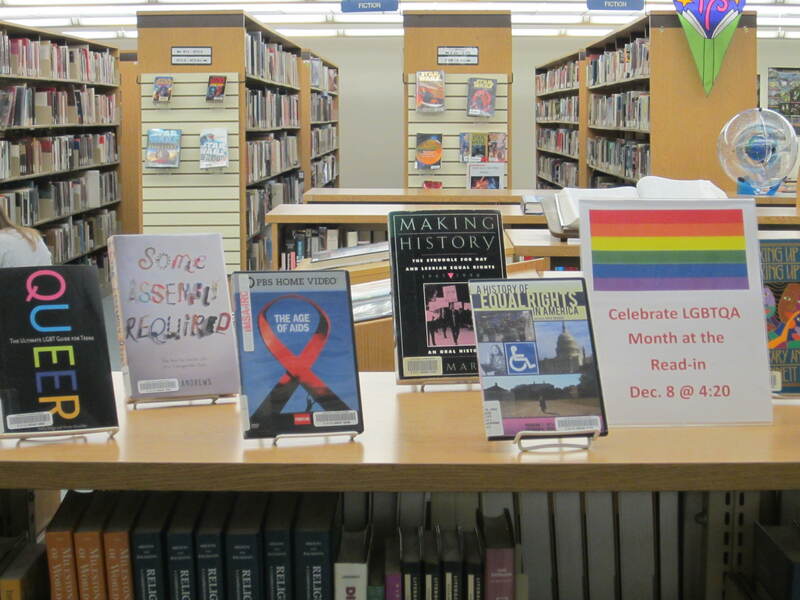 Spectrum, PME and IRC staff have created a display of fiction, nonfiction books and DVDs for LGBTQA month. Classic and contemporary fiction and non-fiction written by authors Virginia Woolf, Rita Mae Brown, Jennifer Finney and Drew Ferguson, among others, are part of the display. 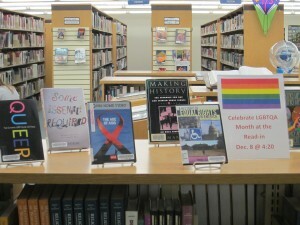 Memoirs, featuring stories of growing up gay and lesbian, and anthologies are also included in the display. All the items in the display can be checked out. On Tuesday, December 8, 2015, there will be a Read-In in the IRC at 4:20 p.m. IMSA students, faculty and staff will read from their favorite authors’ works or their personal writing, and refreshments will be served. 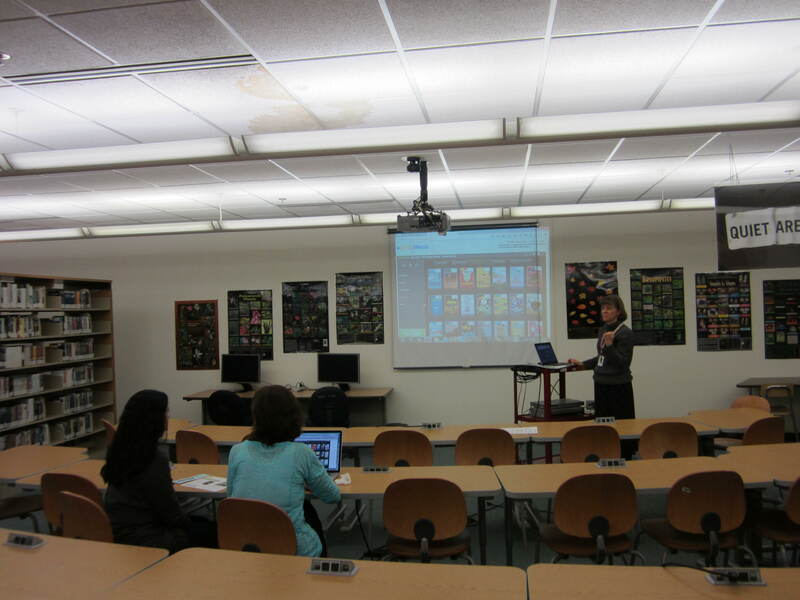 This entry was posted in Announcements, Displays, Events on December 3, 2015 by nluebke.